← Time Inc. Writers: Be Advertiser Friendly – Or Else! Just because Uber’s motto is “Everyone’s private driver,” doesn’t mean every car is yours for the hailing. But the popularity of apps like Uber and Lyft have spawned some awkward curbside interactions. “Basically anytime I’m pulled over on the side of the street, someone tries to hail me or just opens my car door,” said tech investor Ashwin Deshmukh, when I asked him about the trend. “If I pull-up at a food truck in Williamsburg, there will be four guys asking, ‘Can you take us to Long Island? '” Deshmukh blames it partly on tooling around in a 2009 SUV and was told the GPS sitting on his dashboard gives the wrong impression. 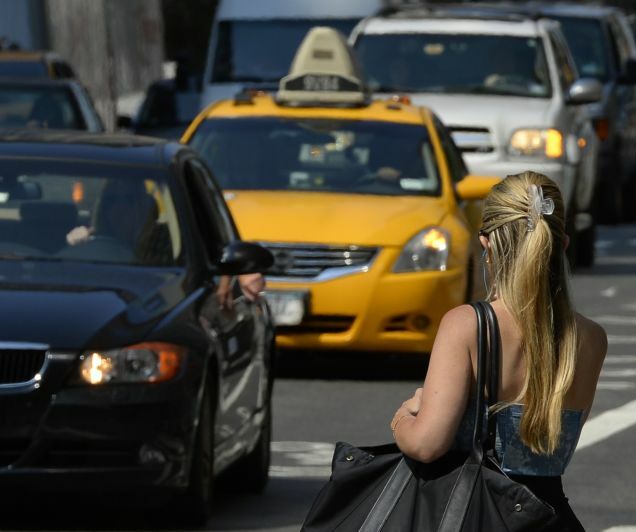 “It’s kind of immoral to have a car in New York anyways, so I feel like this is my tax for doing that. The best line so far is, ‘Are you Uber? Well can you just be, can we go? '” he said. He is not alone. But the Uber wisher is, eh? This entry was posted in Uncategorized and tagged Ashwin Deshmukh, Gawker, Lyft, Politico Playbook, Uber, Valley Wag, Williamsburg. Bookmark the permalink. 1) Lyft drivers have a hot pink fuzzy mustache on the front of their cars. If you’re not a Lyft driver, chose another color mustache… Boom. Confusion avoided. 2) The job title “tech Investor” (occupation of Mr. Deshmukh) is basically a euphemism for Uber driver in this day and age. I too would be confused. 3) Mr. Deshmukh? Ah… it all makes sense. Was es ist alles Uber, Deshmukh?